We may have clocked Onoe Caponoe's oddball videos for Milkyway 1311 and Clockwork Green earlier in the year, but somehow the west London artist's LP Central Control slipped through the net a few weeks back. 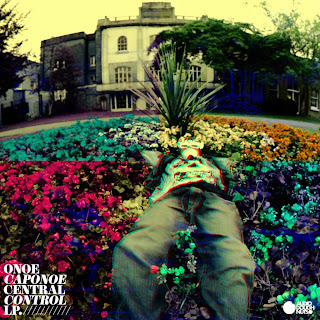 Onoe's on a planet of his own, putting his vocals to everything from trad boom bap, experimental beats and lo-fi dubstep. And all with an uncompromising, spaced-out hippy attitude. If you're in London, head to Suspect Packages Live (see below) this Friday to catch his performance.